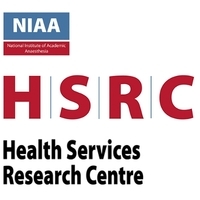 The HSRC is seeking to appoint clinical research fellows to work on high profile programmes in health services research related to anaesthesia and perioperative medicine. Successful candidates will gain exposure to HSRC and RCoA-led national research projects and quality improvement programmes, opportunities for academic publication and conference presentations and develop leadership and management skills. Candidates must be registered with the GMC and eligible to work in the UK at the time of appointment. The posts will commence in February or May 2018 or as soon as possible thereafter. Latest possible start date: 1 August 2018. All start dates and placements are subject to negotiation between host hospitals and successful candidates. The posts are for one year in the first instance though extensions are possible. Employment will be through the local institutions, with an agreement with the Royal College of Anaesthetists about HSRC-related roles and responsibilities. Candidates must express their geographic and project preferences when applying and these will be considered when ranking successful candidates. Reasonable travel expenses will be covered for candidates attending interview. Specific queries related to posts can be sent to the local email addresses provided in the Information Pack; if you have a general query then please contact us.